Pop along to our flooring displays and see the huge range of finishes available in Karndean, Amtico & laminate flooring. We’ve got so many carpets & floorings to chose from at Southport Carpet Centre on Eastbank Street, call in and we’ll help you chose one that looks great in your home! 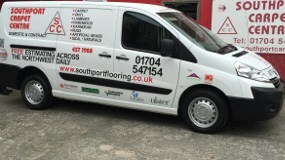 Our highly trained & experienced fitting teams work throughout Merseyside, Lancashire & Cheshire on a daily basis and throughout the UK for our larger contract flooring projects. From rugs to mats to sumptuous carpets – we’ve got the floor covering to make your home, office or workplace look & feel fabulous no matter what the budget! We stock both Karndean & Amtico vinyl flooring tiles for when only the best will do. Our specialist fitting teams make sure you get the ‘wow factor’ and pride themselves on leaving your rooms clean, tidy & looking great! Luxurious carpeting & flooring supplied from our Commercial Contracts Division for the prestigious development of Stocks Hall Nursing Home & Leisure Complex. 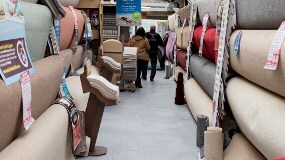 Our carpet & flooring showroom on Eastbank Street in Southport, boasts over 25,000 lines for you to browse with expert staff on hand to answer your questions. Always friendly service with no pressure. 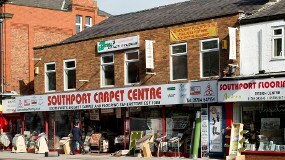 Luscious carpets & floorings to suit all budgets at Southport Carpet Centre, Eastbank Street, Southport. 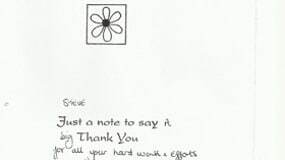 We’ll help you make your house into a lovely home with a fabulous wool carpet from Southport Carpet Centre.